How much does it cost to subscribe to the Learning Club? It will depend on the package you have subscribed to. Click here to see the subscription options. We do. We are based in the UK but want boxes to be available to everyone. Please email us at info@giftsforlittlehands.com and let us know which country you would like the boxes to be shipped to and we will let you know the additional P&P. No, delivery within UK is FREE! All international subscribers will be charged an additional fee to cover shipping costs. What will be in the first box? The first box is themed around developing your child’s literacy skills. Each box contains four different activities and all of the items you will need to complete those activities. How many items will be in each box? That’s a good question, we aim to have a minimum of 4 activities, with all of the items needed to complete them. We will ship out boxes on the 15th of every month. So, please allow 3-4 days for delivery. Can I buy a subscription for someone as a gift? What a great idea. Yes, select the gift option, we can then send the recipient a gift voucher for them to redeem their subscription with an option to extend if they require. Who has designed the activities? The activities are designed by early years teachers, experts and some very passionate parents. That is no problem. Cancel the monthly subscription any time, as long as it is before the 15th of the month. If you are cancelling the annual subscription ahead of the 12 months, the refund amount will be calculated by adjusting the monthly payment to £15. Why can you not just pay for one box? Why do I have to give my details for a monthly subscription? That is a good question. 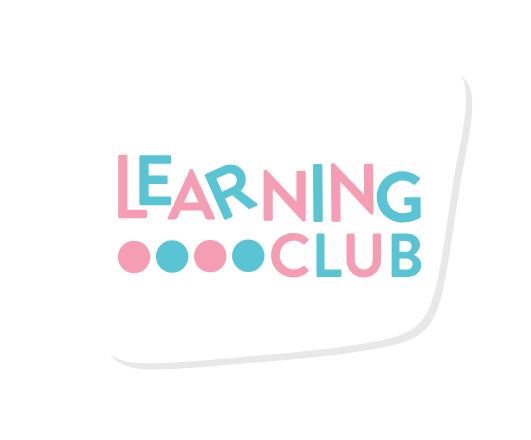 The Learning Club has been designed to help parents to support their child’s learning journey at home. Each month focuses on a different area of development. So, we have designed the subscription service to allow the child develop in all areas of the Early Years Curriculum, which cannot be completed in one month. We are confident you and your child will love learning and having fun with the Learning Club, however if you don’t enjoy your experience you can cancel any time and that’s our promise. It couldn’t be easier! All you will need to do is go to our website and select the subscription plan (e.g. Monthly, Annual or Gift Subscription). Depending on your age selection, the Learning Club team will then start developing your personalized box! On the 15th of each month, your box will be shipped to you. However in the meantime but look out for our emails as we will have little tips and additional activities for you to complete with your child. What are the areas of development covered by the Learning Club? The Learning Club has been designed to cover all 7 areas of the Early Years Framework Stages (EYFS). These include; Literacy, Mathematics, Communications & Language, Expressive Arts & Design, Understanding the World, Personal, Social & Emotional and Physical Development. Click here to find out more about the EYFS. How do I know if I am supporting my child with the activities in the right way? Each Learning Club box contains an instruction booklet, which clearly outlines the learning objectives of each box with step by step instructions. However, if you do have any questions, do email us at info@giftsforlittlehands.com or join our Facebook community and speak to other Learning Club parents. Do I need to be at home to receive the Learning Club box? No, you do not have to be home. The Learning Club has been designed for maximum convenience. This includes the Learning Club box to fit through a standard letter box. The box dimensions are (42cm L x 19 W x 3.5cm H). However, if you do not have a standard letter box then someone would need to be at home to receive the box or collect from your local post office if you are unavailable. What is the Early Years Framework? If your child is in their first year of school or goes to a nursery, pre-school or childminder, your child will be following a curriculum called the Early Years Foundation Stage also known as the EYFS. There are 7 areas of learning: Literacy, Mathematics, Communications & Language, Expressive Arts & Design, Understanding the World, Personal, Social & Emotional and Physical Development. Click here to find out more about the EYFS. Click here to find out more about the EYFS. Please email us at info@giftsforlittlehands.com. Please note you will need to cancel the monthly before the 15th of the month. If you are cancelling the annual subscription ahead of the 12 months, the refund amount will be calculated by adjusting the monthly payment to £15.